AC Leopards have become the first Congo Brazzaville team to reach the semi-finals of the Confederation Cup after a 3-0 win over Djoliba of Mali on Sunday. Bienvenu Kombo, Herman Lakolo and Rochel Kivouri got the goals. Leopards, who are based in western city Dolisie, needed to match the result of Wydad Casablanca of Morocco at Stade Malien of Mali to ensure they remained second behind Group B winners Djoliba. 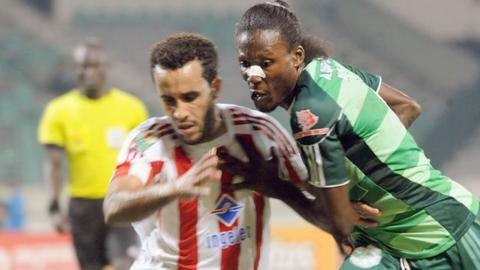 Casablanca drew 3-3 with Stade after coming from behind three times. No club from the central Africa country has come close to winning a Confederation of African Football competition since Brazzaville-based CARA lifted the African Champions Cup 38 years ago. But Leopards grasped their opportunity to change that statistic as they gave their best display of the six-round group phase to hammer their Malian opponents. Casablanca were always playing catch-up in their tie with the 2009 Confederation Cup winners Stade, who finished bottom with only three points. Goals from Bourama Coulibaly, Bakary Coulibaly and Lamine Diawara nudged the Malians in front only for Wydad to hit back each time with Bakr El Hilali, Congolese Lys Mouithys and Abderrahim Benkajjane netting. On Saturday, Al Hilal lost 3-2 to compatriots Al Merreikh, who were inspired by a brace from Zambian Jonas Sakuwaha. Ahmed Abdallah and Sakuwaha were on target for Merreikh within 18 minutes of the kick-off in Omdurman before Mohamed Al Tahir pulled one back before half-time. But Sakuwaha restored Merreikh's two goal lead and Al Tahir's stoppage-time strike proved little consolation. The victory ensured Merreikh finished top of Group A on 14 points, and they will now face Leopards. Al Hilal will take on Djoliba in the other semi-final. The closing stages of the second-tier competition are going to be a test of endurance with the two-legged semi-finals and final being staged on four weekends in a row. The other match in Group A was a dead rubber between InterClube, who reached the semi-finals last season, and Al Ahly Shandy. Shandy, who went into the match without a win in five group games, pulled off a shock 2-1 victory with final-minute winning goal.